How do you find dog breeders over the internet? How do you find a reputable dog breeder? Most people who want to buy a puppy use the Internet to do their searching. That’s fine as long as you understand that the bad breeders aren’t just using ads on supermarket walls or in cheap places any longer. They know how to find and attract buyers. A responsible dog breeder will have their own website to show off their dogs and the feats they have achieved. Bad breeders only use sites to show off and sell puppies. Best breeder websites are usually full of pictures of their dogs doing everything. Field breeders will show their dogs holding a duck or on point. Flyball breeders will show their dogs action photos. There could also be some great photos with their family or some candid photos but it’s obvious that the breeder is focused on more than simply pets. Bad breeders will only have photos of the dogs sitting down or, the absolute worst photos are of female dogs when they’re pregnant or they’re nursing (hanging low). If you see a photo of a dog behind wire, that’s a glaringly obvious red flag, especially if you don’t see any shots without wire. If the dogs are dirty, that’s also a bad sign. A responsible breeder will often show casual shots, but the dogs pictured will be clean, washed, blown and nicely stacked. Their formal shots are winning photos. The best dog breeders don’t use headings such as “dams,” “sires,” “Mommies” or “Daddies.” They might use “Females” and “Males” but the dogs are never shown to be puppy producers. They’re shown on the website and highlighted for their own abilities and accomplishments, regardless of whether it’s in the agility ring, the field, or show ring. Having puppies is an important aspect but certainly not the main focus of their website. 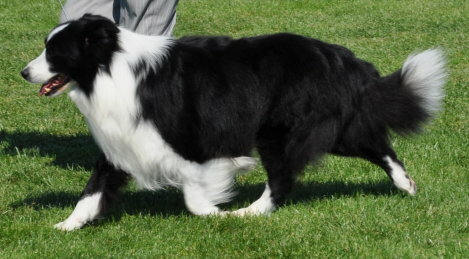 Good breeders will use such words as: sidegait, typey, sweep (in a Cardigan it means a long dog who’s beautifully put together and well balanced), down and back, rear, front, balanced, conformed and socialised. Bad breeders like: stride, burly, big, thick, confirmation, acclimated, back legs and front legs. They’ll love using silly phrases like: domestic breeding, relationship stature and trained in socialisation. One ad said they breed using the biggest available bloodlines. 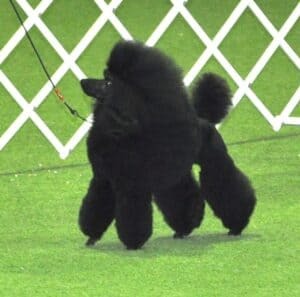 The good breeders never try to highlight the superficial aspects of their dogs. They don’t ramble on about the puppy’s colour or markings or the attributes that make the puppy worth buying. They never breed undersized or oversized dogs. They try to choose average size dogs where possible. This is because under/over-sized dogs face lots of health troubles so you must consider their size when making a buying decision. Reputable breeders breeders never brag about coat lengths, unusual colours, ear shape, eye colour or use “rare” when describing their dog. These breeders have enough trouble finding high quality dogs in typical colours. They’re hardly ever attracted to the lower-quality dogs in rare colours. If a good breeder does have a puppy with odd coloured eyes, hair or coat type, it’s usually sold to somebody as a pet on limited kennel club registration instead of being sold at a higher price as a rarity. Good breeders rarely sell a single puppy prior to eight weeks of age. Bad breeders sell puppies as soon as possible. Sadly, the bad breeders never try to match the puppies with owners. Before the puppies have reached an age where they can be graded they are usually sold. So they’re matched solely based on colour because it’s the only element possible to use prior to the age of seven to eight weeks. Never buy from a breeder who uses colour as the only determining factor. “Runt” or “the pick of the litter” are phrases never used by good breeders; only bad breeders ever use these expressions. Phrases such as a “show pick” or “small at birth” are fine to use but the other two phrases are derogatory and only bad breeders use them. It’s also a myth that a runt is found in each litter. Puppies who start small soon grow up to match other puppies in their litter and may end up as the best show dogs of the litter in the end. If a puppy is sick and can’t grow normally, it must never be sold as a pet. With regards to “pick of the litter,” this is irrelevant if you’re simply buying a pet. The breeders who use this phrase are simply trying to get you to buy the puppy. If you hear it, ask what they mean by it. Most people will say it refers to colour, markings or something else superficial. They have no bearing on what it takes to make a puppy a good show dog. The word “throwback” should also ring alarm bells if you hear it. Those bad breeders use this to make excuses for a puppy that doesn’t look like a purebred and is ugly. “Seventy-pound Dane?” “Throwback?” “Both are stupid terms. Good breeders don’t list their dog’s weight except as an incidental whereas bad breeders write it under the dog’s name in bold writing to try to impress with the size of their dog (big or small). Good breeders don’t use this ploy as they breed to a standard. You’ll know their dogs fall into a specific range. 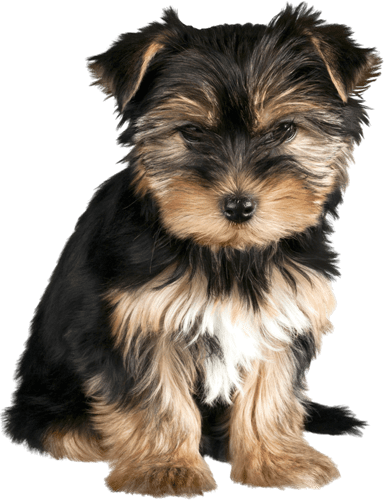 Bad breeders try to go down or up from that standard level, often producing 1 kg Yorkies or 45 kg Labradors. They focus on a specific weight as being highly desirable. It’s yet another way they’re selling based on superficial attributes, not the basic soundness of the puppy. Think about buying your puppy with your eyes shut. Do you have plenty of information? Can you get enough accurate information from the website so you can make an educated buying decision? Or has that breeder only given you basic information such as: eye colour, coat colour, type of coat and other information? Bad breeders sell puppies as long as they’re cute. Once they become ‘ugly,’ they stop selling the dogs. Good breeders don’t ever drop the cost of an older puppy. In fact, they price is often increased. The better breeders sell dogs whose maturity gives them extra value. They’ll often sell retired older dogs for a small amount of money to cover desexing costs, but you won’t ever see them dropping the cost of a puppy just to get him off their premises. Good breeders possess an innate sense of where in the breed their dogs fit. They can discuss dogs in the pedigrees with clear knowledge, even if they have never seen or owned them. They won’t talk about the dogs having “pretty colours” or as being “nice pets.” You’ll hear them talk about how a grand-sire is a top herding dog or another one has multiple show titles. They’ll understand the main health issues faced by the breed. They’ll discuss the uniqueness of the challenges facing owners, breeders, exhibitors and trainers of such a breed. You should be overjoyed to have your dog for his whole life and your breeder should provide support gained from experience if you have any problems. There should be a feeling of value that’s unrelated to the dog’s “cuteness” factor and you should come away with your puppy, feeling like he’s the best of the breed available at the time. If a breeder can’t provide these things, don’t buy from him. If you don’t care about correct breed type or health problems don’t buy a dog. Rescue one instead. Conclusion: Hoping this article has explained in detail what makes a reputable dog breeder for people wanting to buy a puppy and helps puppy buyers find good dog breeders. Denise Leo “Tips on Choosing the Perfect Canine Companion”. Check out the breeder’s kennel. Visit the breeder’s kennel/home and ask to view the parents and if they won’t permit this, regard it as suspicious. Any reputable breeder will understand your need to check them out thoroughly before they will entrust their dog(s). They’ll also want to know everything about you to see if you’re a good fit for them and the style they use. It’s also demonstrating an active interest in how the dogs will be cared for once they have done their work. Ask lots of questions and negative answers are as important as positive ones. If the breeder doesn’t want you to visit. If they sell the puppy before letting you seeing it. If you don’t get full access to their kennel. If your senses are screaming badly after your visit. These signs tell you the breeder isn’t for you. This is crucial. If possible, also ask to see the father. If that’s not possible, ask why. 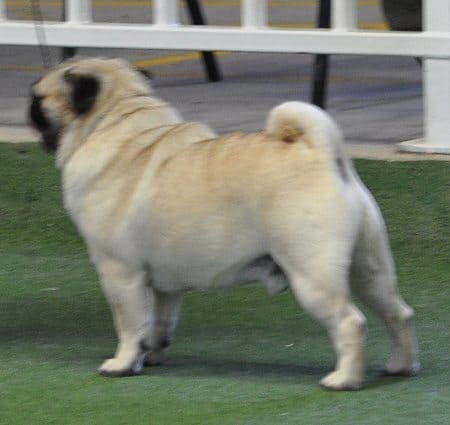 He may be owned by a different breeder and was only used as a stud. Artificial insemination may have been used. These are legitimate reasons not to see the “father.” Reputable breeders will have official pedigree information that covers the puppy’s lineage, including name and registration numbers for parents, grandparents and even great-grandparents. The mother isn’t on the premises and/or the pedigree information isn’t available to see. This would only be the case with a disreputable breeder. These points are definite deal breakers. Some purebred dogs will inherit medical problems. 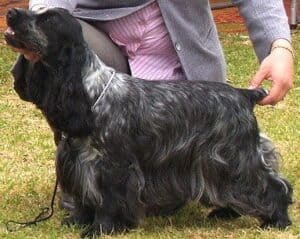 Reputable breeders will have ways to reduce or eliminate such problems so you need to see the medical history and clearance for both male and female dogs. If the male isn’t there, there should still be records of his health on the premises. Check the vet records as well. Breeders will make sure parents have their health cleared before breeding. Puppies should never be sold without their shots and a vet check-up. Health records aren’t available or they’ll be sent to you along with the registration certificate. The breeder says the breed has no health issues. The breeder claims you must take the puppy to the vet after the purchase and pay for it. You Must Get a Signed Receipt stating the puppy is a purebred. The bill of sale legally protects you. The breeder must date and sign it. It has to say the dog is a purebred and must have the breeder’s name, your name, the dog’s id, verification that you’ll be given registration papers and the cost of the dog, including all related fees. Never pay for a dog without having this information on the bill of sale. The breeder asks for some or all of the money up front and says the bill of sale will be sent to you. NEVER accept that. Anybody buying a purebred dog should receive one that’s both mentally and physically healthy. However, there may be unforeseen genetic problems that can skip five generations and then appear in the next one. A guarantee will cover compensation if such a problem were to occur, not a statement that such a problem will never happen. Reputable breeders won’t hesitate to give a written, detailed guarantee and will always uphold the agreements. Don’t buy a dog without such an agreement and read it thoroughly so you understand it before your purchase. No agreement means no sale. The breeders says he will send you the agreement along with the registration papers. The Dog Must Be Uniquely and Permanently Identified. The law states that a purebred dog must be identified before sale so it can be registered with an international kennel club. The breeder must cover these costs. You can have a tattoo or a microchip transponder. The tattoo must be easy to read with your naked eyes. To read microchips, a scanner is needed, which a breeder would have. He has to scan the chip to confirm the identification number matches the one on the bill of sale. If this isn’t possible, he must have a vet’s certificate confirming the chip is present in the dog. The breeder tells you the identifying process is your responsibility. He says the microchip is in the dog but can’t scan it or give you a vet’s certificate. NEVER buy a dog under these circumstances. Confirm the Kennel Club registration of the puppy, litter and parents of the puppy you’re buying. This is law under the Animal Act. A breeder has six months from the sale date to register a dog and give the new owner the papers. The parents and litter must also be registered. Any reputable breeder will do this willingly. If there are doubts, ask for the Certificate of Registration of Litter that he was given by the Kennel Club. The cost is only $25 but the breeder must pay this fee. The Kennel Club takes about 10 days to do the processing. Then the breeder sends you the certificate. You don’t have the financial responsibility for any of this. It’s all up to the breeder to cover the costs here. The breeder tells you to fill out and send in the registration papers and the fee. The breeder gives you one price with papers and another price without papers. Most breeders will be members of a Kennel Club. Some breeders will have been members for many years. Members must follow all rules and regulations so if your breeder IS a member, the chances are high that he’s reputable. They will display a membership certificate in their premises as well. If the breeder is not a member, you should ask them why. The breeder says there’s no advantage in being a member. He says he was a member but quit. Members only pay 50% on registration fees and have other benefits so you need to learn why he isn’t a member. He may have a good or a bad reason. Contact the Kennel Club if you have any questions or doubts.